Robert Rogge (Robby) began working at Bison in the summer of 2016. He obtained an Associates of Science degree at UM-Helena before earning a Bachelor of Science in Environmental Engineering at Montana Tech of the University of Montana. He also has successfully completed the Fundamental Engineering exam. While attending Montana Tech, he earned a broad-based science and engineering education including advanced courses in air and water pollution control, hazardous wastes, soils remediation, pollution prevention, health risk analysis, and land reclamation Overall, he gained a solid foundation by working in groups to solve real-world engineering problems and using computers extensively for engineering design that prepared him to be successful at his job. 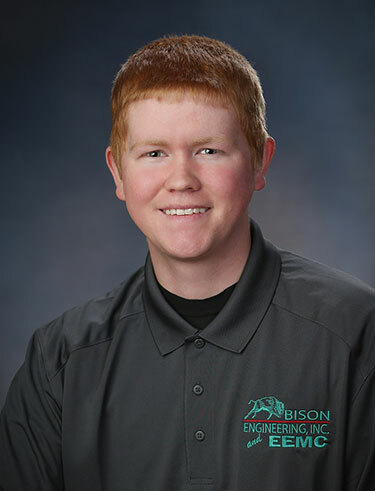 At Bison, Robby has had the opportunity to learn the complicated world of air pollution and gain experience in the many testing methods involved with air emissions testing. Robby is certified in the following: Visible Emissions Evaluator for Method 9 and Mine Safety and Health Administration (MSHA) trained. Growing up in Montana, Robby was exposed to the beauty and joy of mountains, lakes and rivers. However, he also became aware of the balance between industry and protecting the environment. This awareness led him to pursue a career in environmental engineering with a desire to make a difference because his greatest pleasure is enjoying time outdoors with his wife and children.